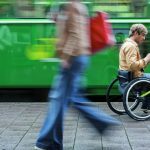 Travel in a wheelchair can be a stressful experience. Making your flight on time, maneuvering through the airport, and wrestling your luggage is hard for anyone. And when you also have an essential piece of medical equipment to keep up with, it can be particularly challenging. But like anything in life, most of your potential problems can be avoided by planning ahead. Take a look at these eight tips that can save you stress when traveling in a wheelchair by plane. All travelers are encouraged to get to the airport about three hours ahead of an international flight and two hours ahead of a domestic flight. But when traveling in a wheelchair, you should get there even earlier. A metal chair can take more time to get through security. And if you have bags of medical supplies or medications to search or check, that may add even more time. Before your wheelchair is stored for the flight, take your cushion off the seat. You can sit on it during the flight. This will help you with positioning and comfort, something that is especially important for people who are at risk for pressure ulcers. It will also lower the risk of your cushion getting lost or damaged in the cargo area. 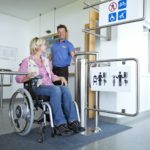 Request a gate check label for your wheelchair, then make sure the information on your tag matches the information for your destination. You certainly don’t want you and your chair to end your journey on different sides of the country! 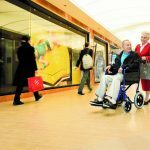 Although it’s not likely your wheelchair will get lost or separated from its tags, it’s always good to have a backup plan. Find a secure place on your chair where the label won’t be torn off. Then put another tag, sticker, or piece of tape on that area. Include your name and phone number in the information. If the tag is easily removable, you could also add your destination here as well. 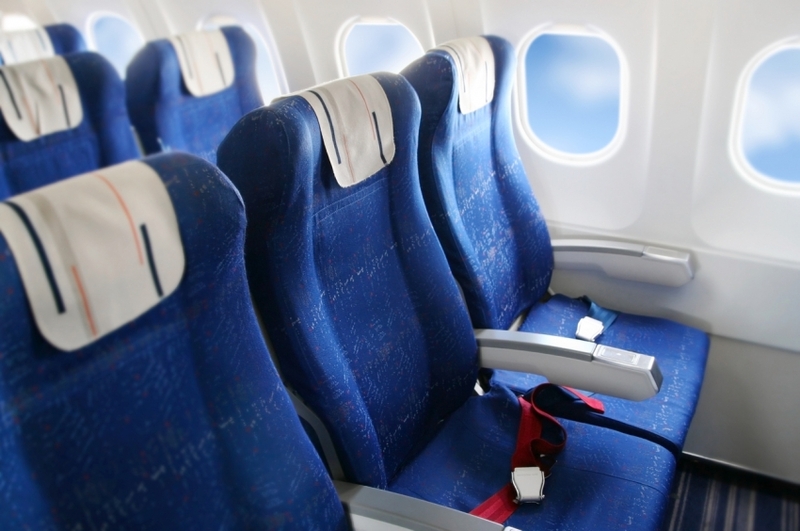 If your chair has side guards, you will want to remove them and take them with you on the plane. Side guards may get lost or damaged in the cargo area. This also goes for any other pieces of your chair that could get caught on things or detached. Before you leave, let your local provider know you are going. They should be able to give you the name and number of someone there that can assist you if your wheelchair should get lost or broken while traveling. Some airlines offer this service for people who may need extra time to find their seat and get settled. It never hurts to ask if this is available to you. 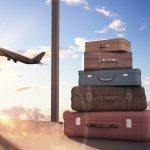 You will appreciate not feeling rushed, and the attendants will appreciate having more time to get your chair situated in the cargo area. Write a note that can be attached to the chair. Explain how to properly use the brakes for storing and parking. Include information on how to disengage the brakes to put the chair in “freewheel” mode, so that the attendants will be able to push it. Traveling in a wheelchair is certainly not impossible, and it can be enjoyable. The more you do it, the better you can refine your plan for making the transitions as smooth as possible. These tips are only a starting point. As you travel, make a list of your own observations and tips to remember for the next time. Each situation and location are unique.